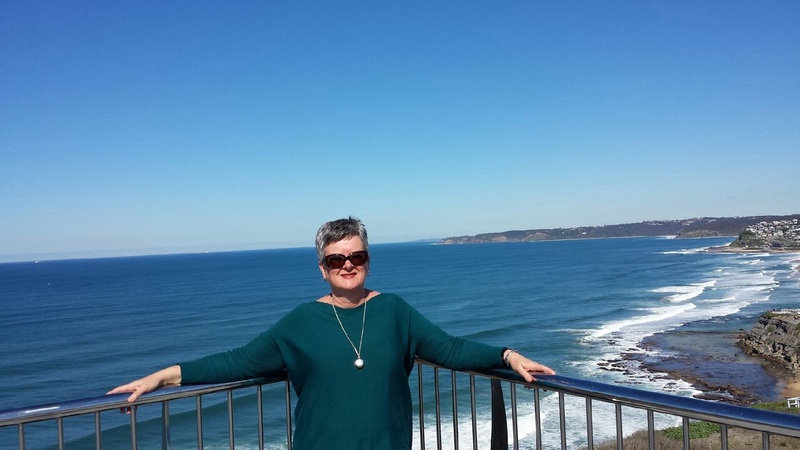 I was lucky enough to spend part of Book Week in Newcastle, arranged by Carol and Lynne of Newcastle Libraries. Carol collected me from the airport and showed me around town before dropping me at my apartment. 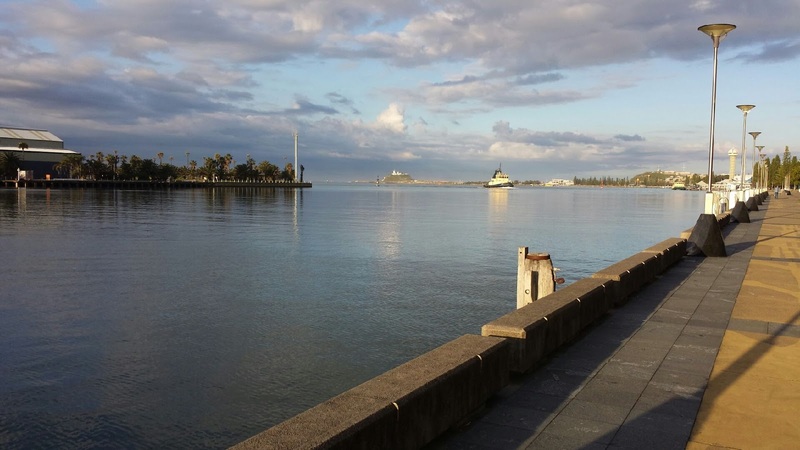 My first priority was a walk by the river. I think every ship coming in to this river (and out) is escorted by tugs. 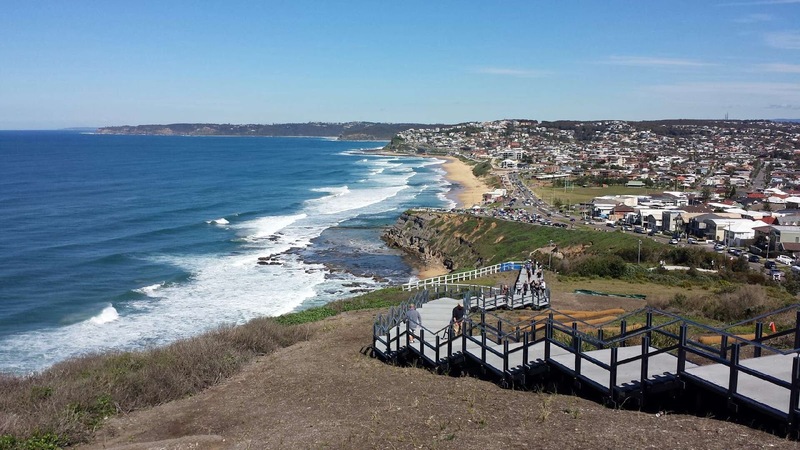 This is the Nobbies, near where I learned to swim. No, not this trip, but when I was growing up here. Ahem, a year or so ago! 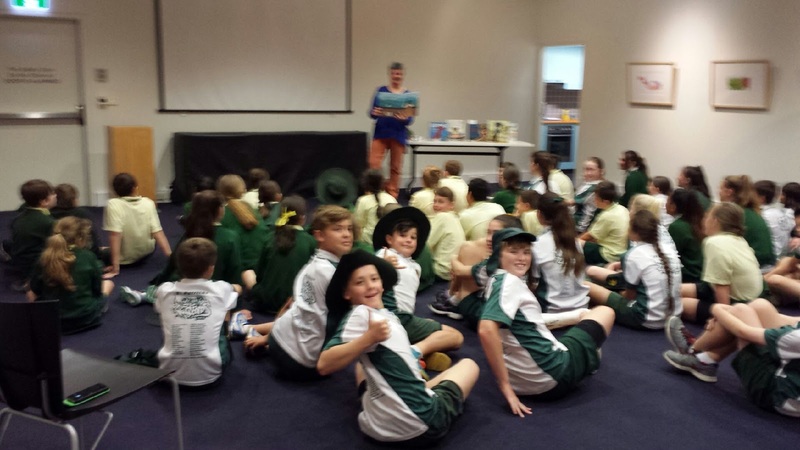 First bookstop, Wallsend Library and a room of G5s and 6s. Last school group was smaller but full of great questions. 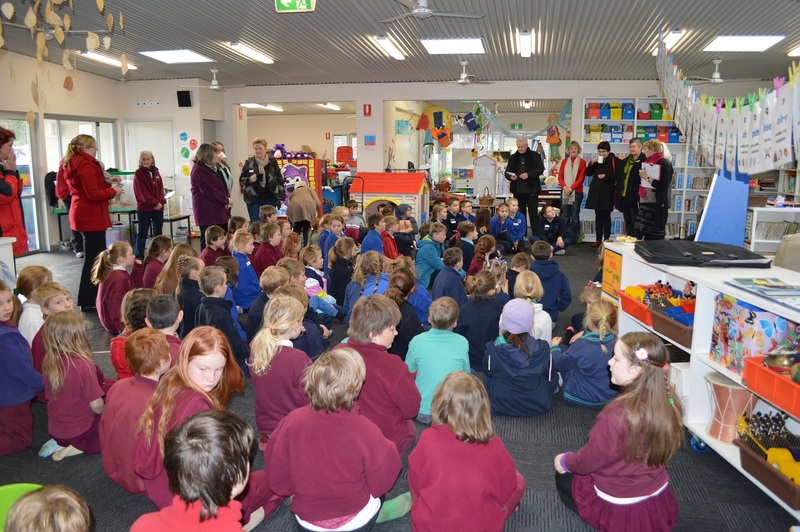 In between, there were visits to other schools and libraries as part of Book Week. There were signs of bookish events everywhere. One girl had the remainder of some Book Parade freckles. 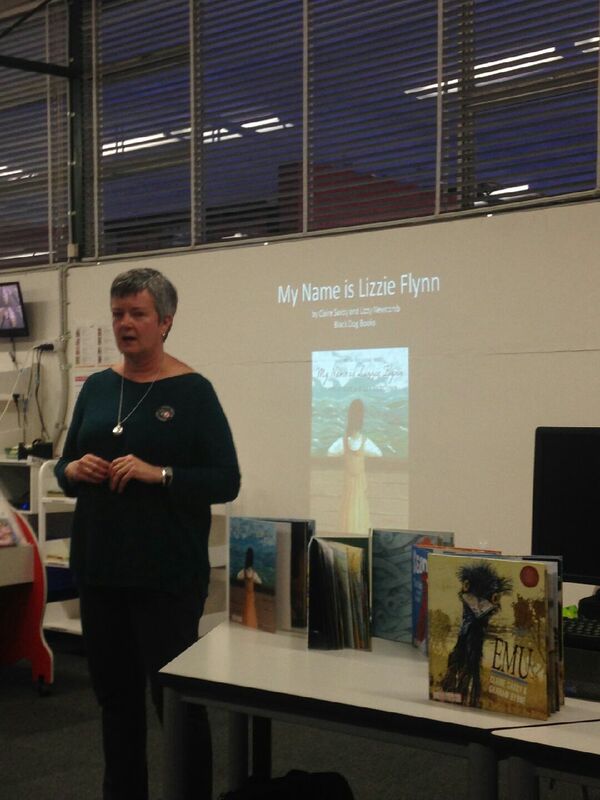 Final session was for adults, based around ‘My Name is Lizzie Flynn’. Very deja vu, as I was presenting in the library that I visited very regularly as a child. I lived at the end of the same street. This session was organised and supported by Amanda of McLean’s Books. 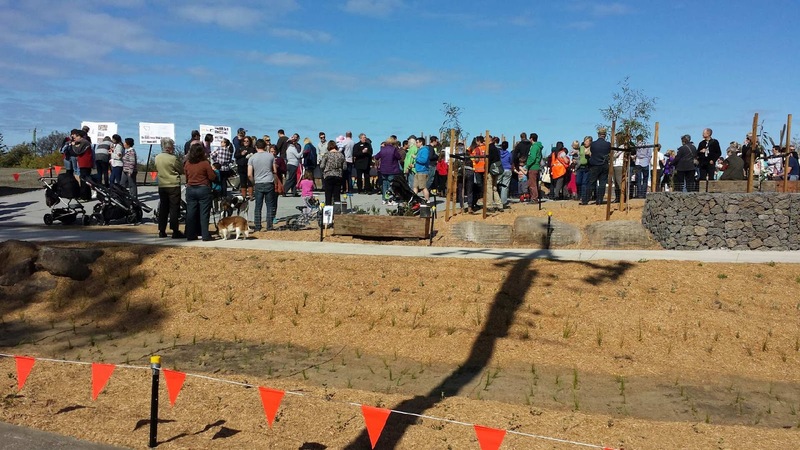 Newcastle has recently opened this Anzac Walk. It’s fabulous. The weather was okay too. 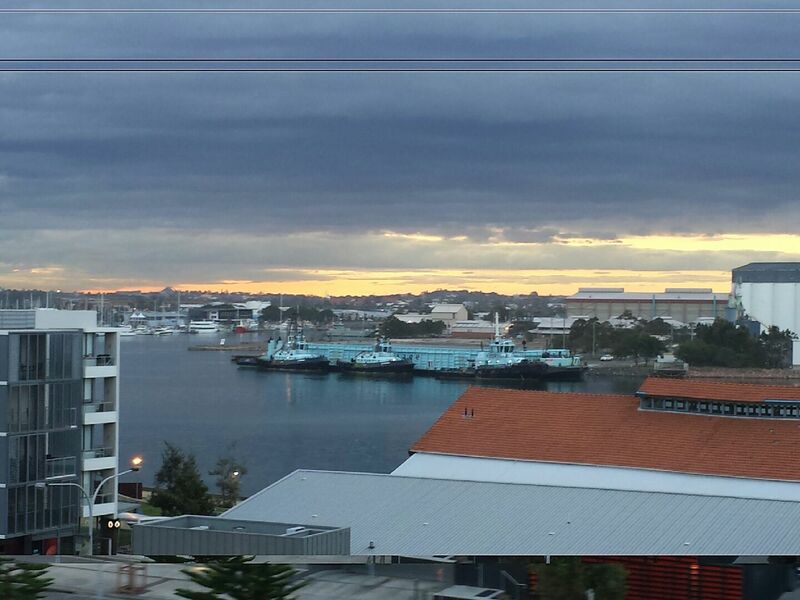 Then I flew home, arriving in Melbourne to temperatures half those of Newcastle, and to far less blue. A great way to finish Book Week. 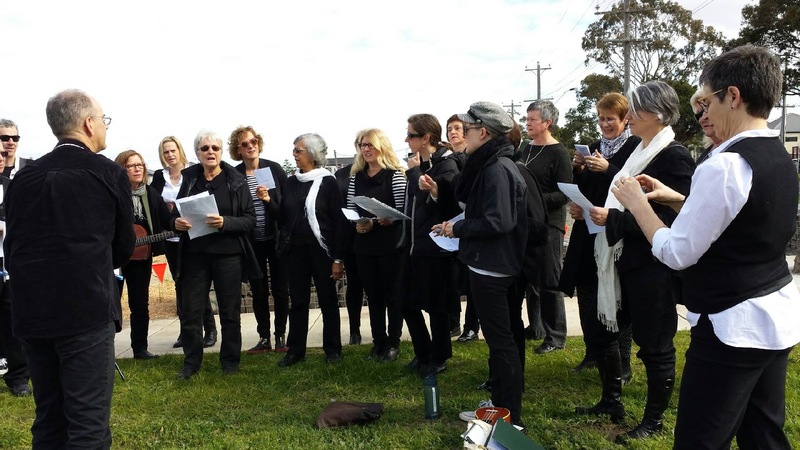 About two years ago, the choir I sing with performed at the then fenced off Madigan Reserve near us. The park was contaminated and there were sink holes opening. But the time of our sining, it was nine years later and still the fences, still no plan for remediation. 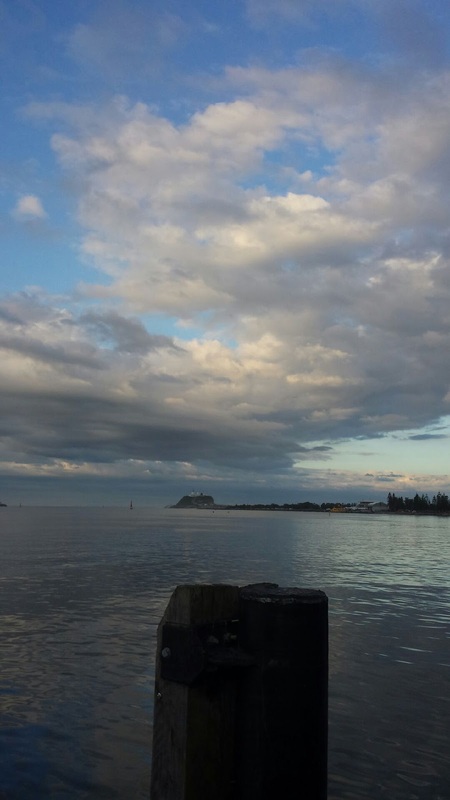 One of our members heard of an international initiative where communities worked together to beautify spots that had been damaged by human use, human decisions. So we sang and threaded flowers through the fence. Fast forward to today. We sang again, this time to celebrate the reopening of our park. And as you can see, there was a great turn out. Such a positive thing to feel part of. 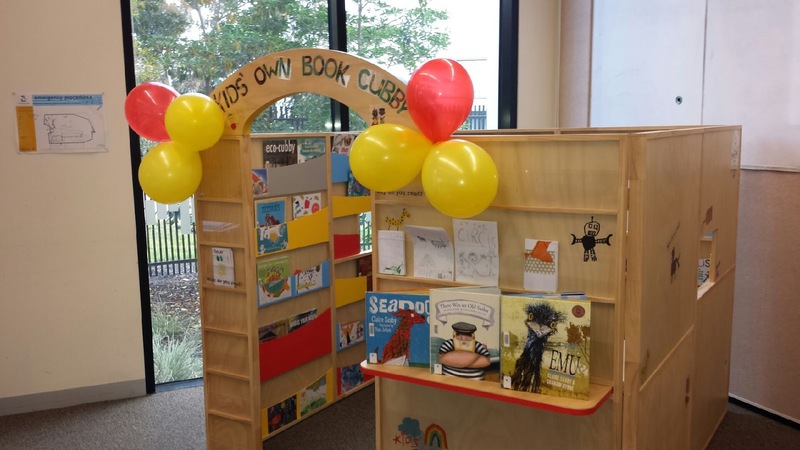 This afternoon I was at Altona North Library as part of Book Week celebrations, for the launch of their new Kids’ Own Book Cubby . 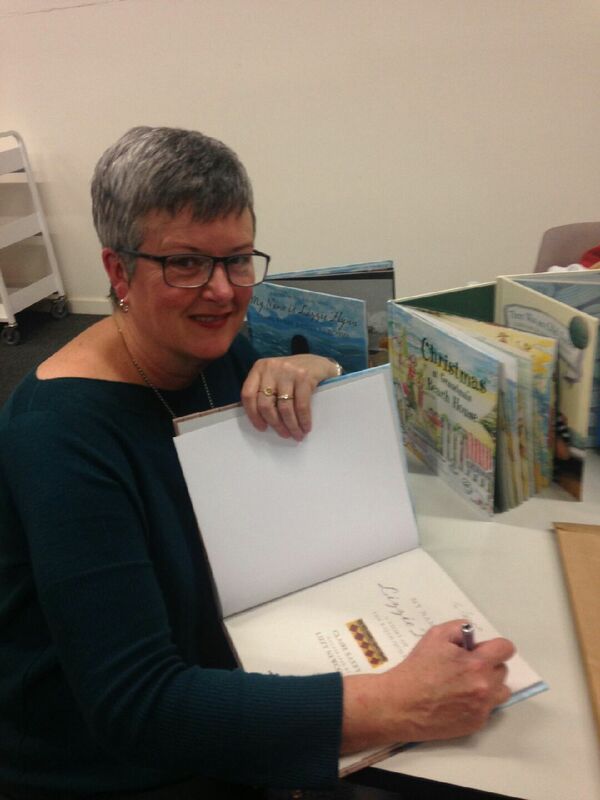 I talked about the writing of ‘Emu’ and then led the children in their own story writing, illustrating and publishing. 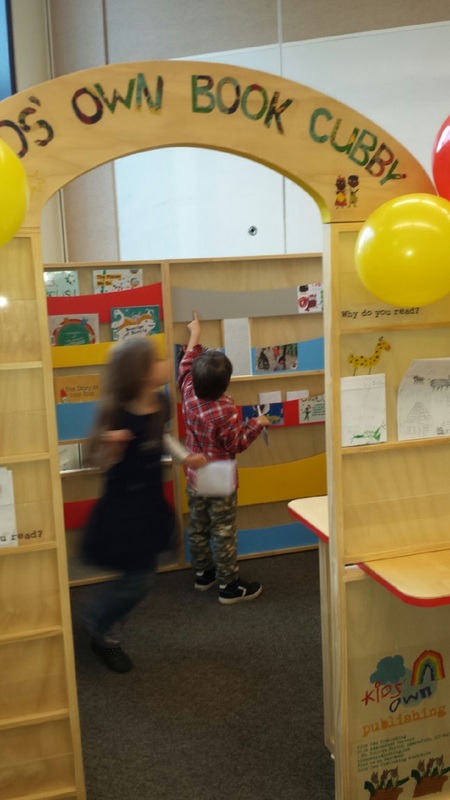 When their stories were done, they chose a spot in the book cubby to show their book. These books (originals went home with the creators) will be available for other young readers to read. It’s a great idea. And there were no shortage of great ideas in the creation of new stories. There were dinosaurs and monsters, rainbows and discos, jungles and egg-hatchings. 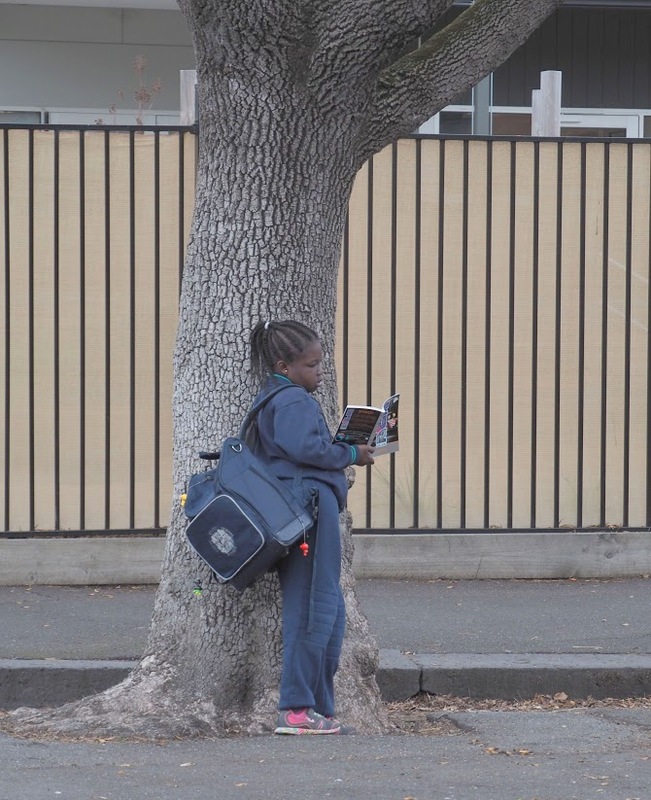 Our future is in great hands with these young storytellers. 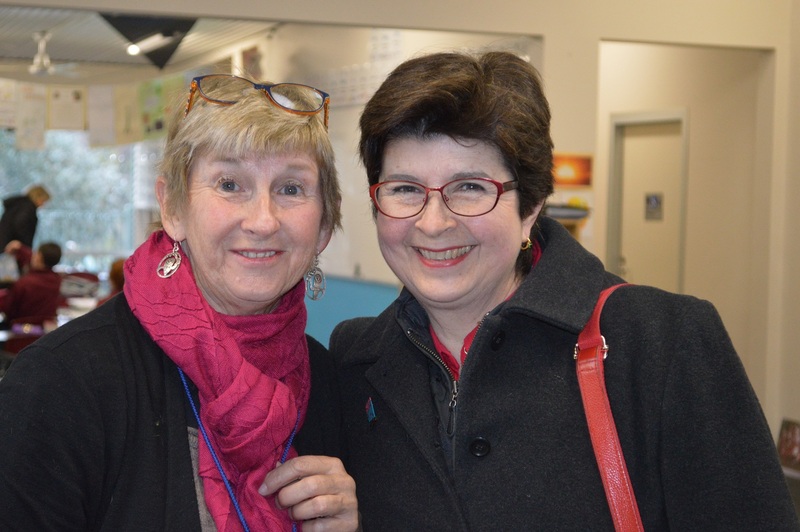 Thanks Hobsons Bay Libraries for inviting me to be part of it. 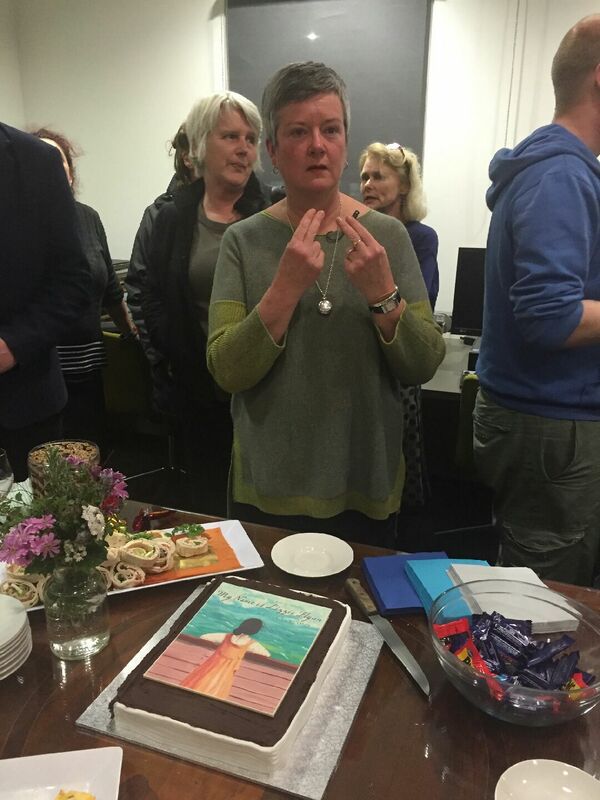 Last night, in conjunction with the Loom Room (a local craft group) and the Hobsons Bay Libraries, ‘My Name is Lizzie Flynn’ was officially launched. 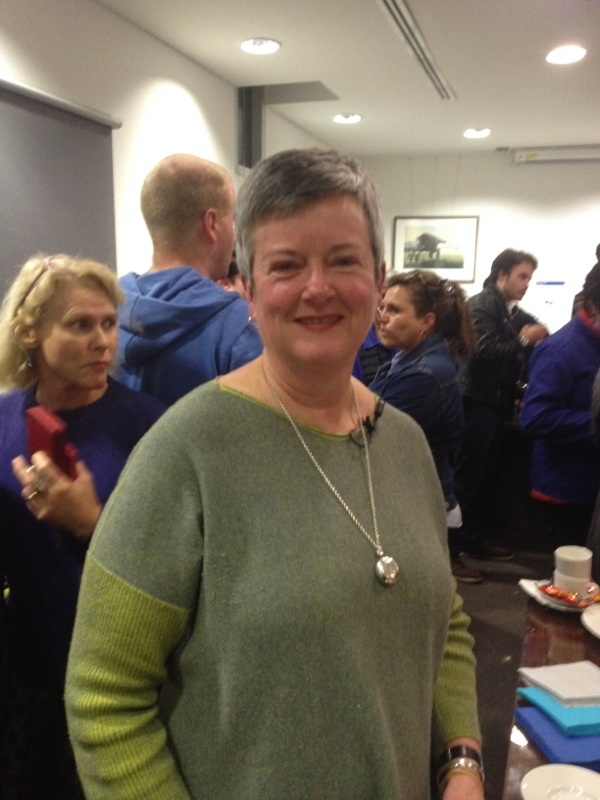 Local councillor and WillyLitFest cofounder, Angela Altair created a patchwork (do see what I did there?) 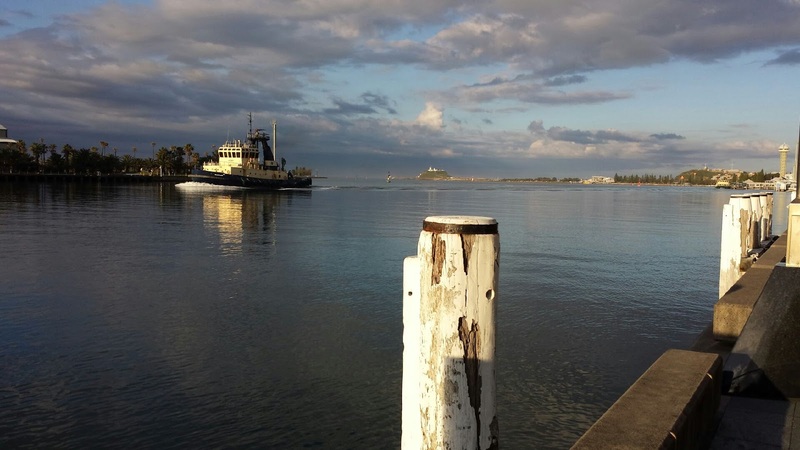 of history – mine, Williamstown’s and Lizzie’s – to share with us all. 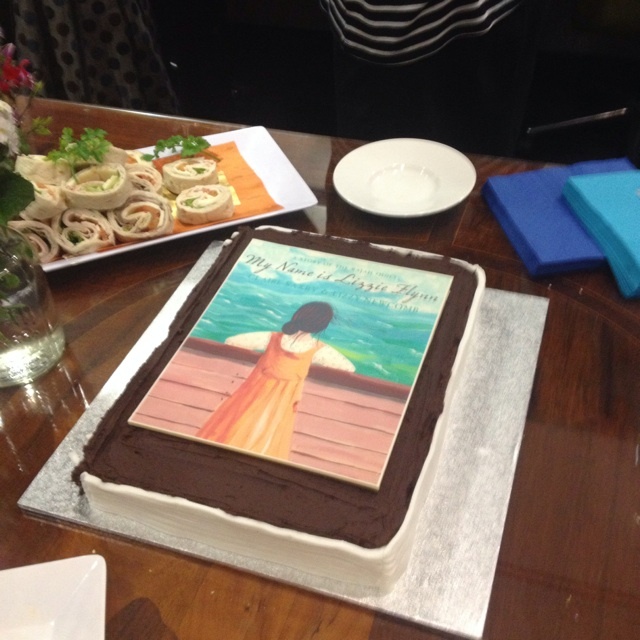 It’s hard to see here, but the cake was styled as a book, with a spine worthy of any grand library. A bite to eat anyone? As the event was upstairs, and the food downstairs, we cut the cake first. 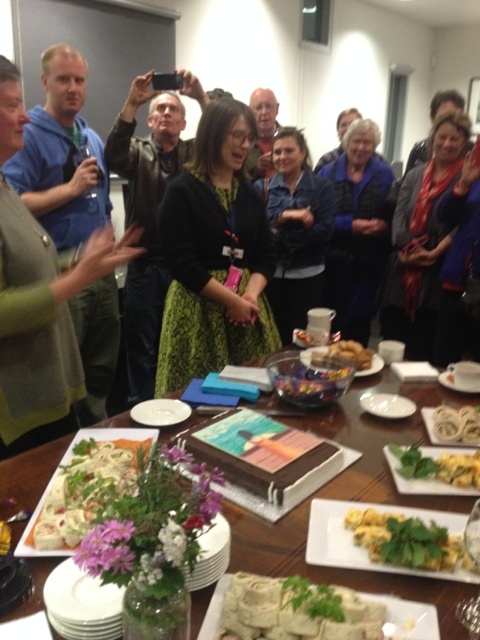 As is appropriate, I led the singing for Happy Birthday, Lizzie. 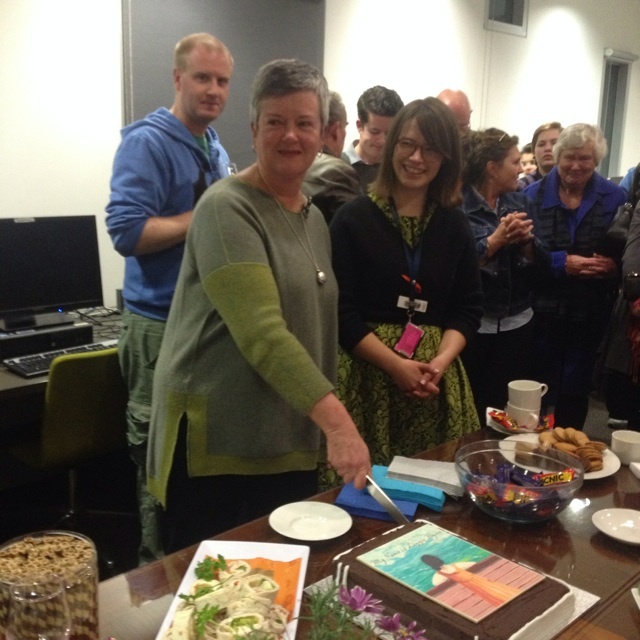 It was a wonderful night, made possible by so many people. Emily from HB Libraries, Sue and Wenche from Book and Paper, Sharon from Cocoa Latte, my always wonderful family and friends. Thank you all. 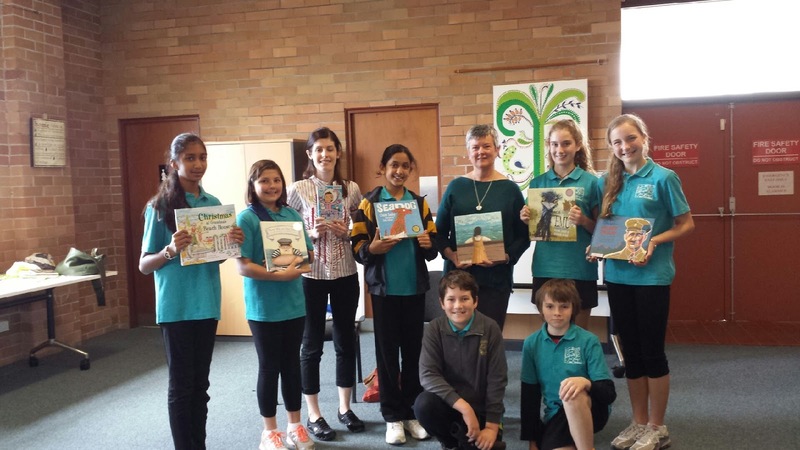 A few weeks ago, I was at an inner Melbourne school presenting books as part of the Books in Homes program. 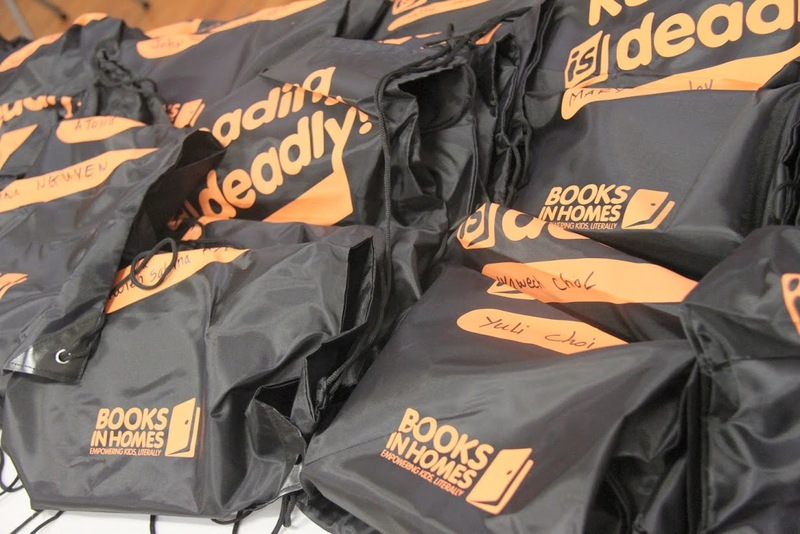 The program gives books to children who may have few books in their own homes. But first there was time to introduce them to ‘There Was an Old Sailor’. In this I was ably assisted by two students: a sailor-feeder and a page-turner Captain. Then it was time for the main event: handing out the bags. 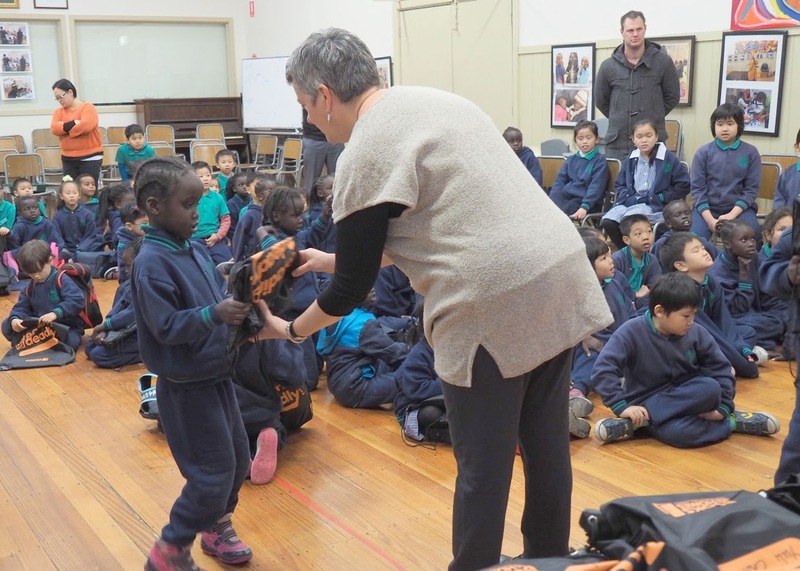 The students were allowed to look into their bags, but it was suggested they not pull the books out until they got home. Some didn’t make it quite that far. For the sixth year in a row, Mark Wilson, Marjory Gardner (above right), Corinne Fenton, Diana Lawrenson and I travelled beyond the Black Spur to a literature festival organised by the indefatigable Libby Ahern. 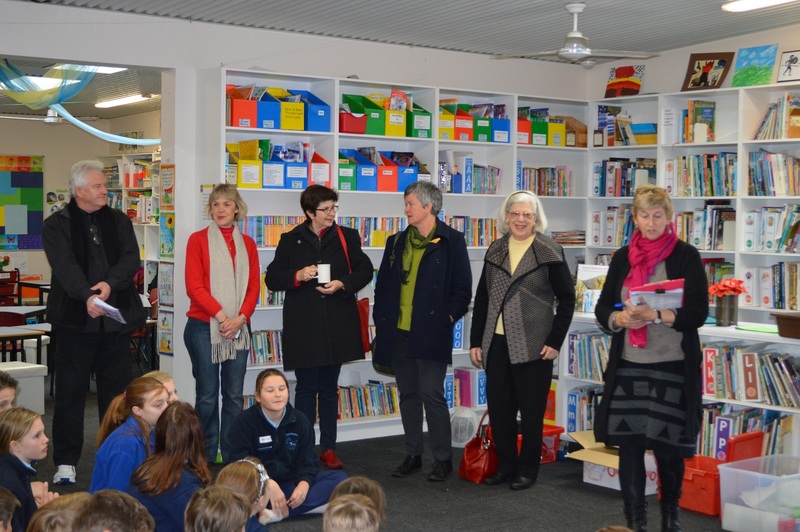 Libby (above left) is librarian to a number of small schools throughout the region that extends out from Yea. 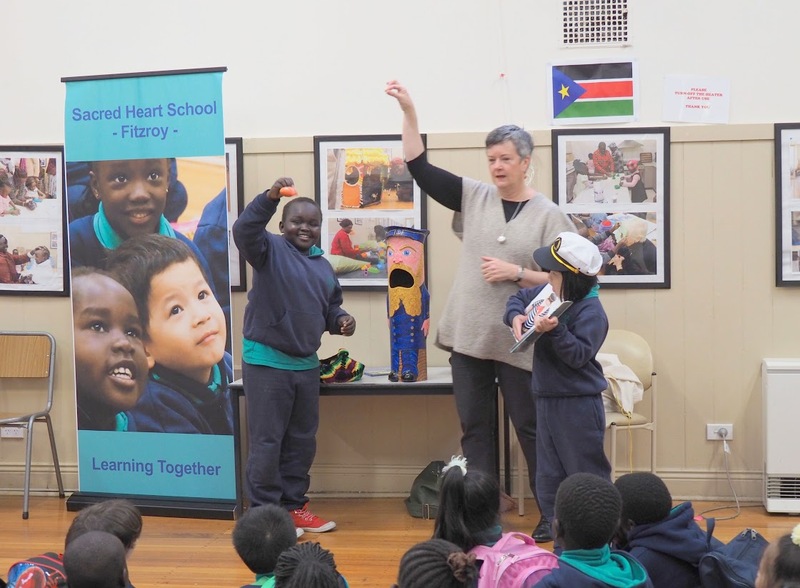 Although based in Yea, Libby spends most of her days in the MARC van travelling to these schools to share a love and understanding of books. We alternate host schools, and the festival is attended by a different mix of students/schools each time. 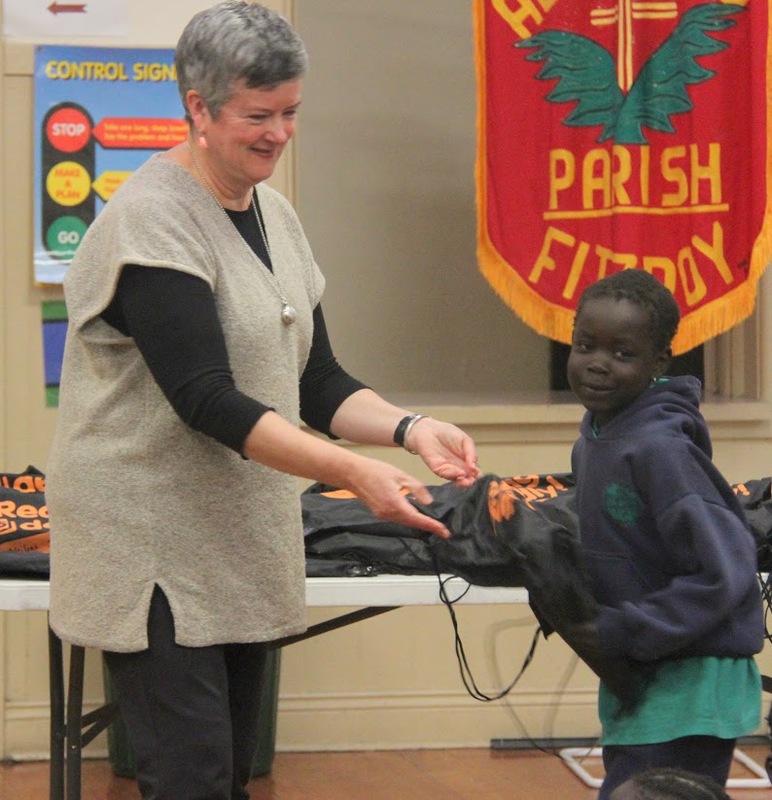 Generally there are four schools at each festival with students ranging from prep to G6. Shelley (above left) takes a million photos. Which is grand, because I always forget to take any! 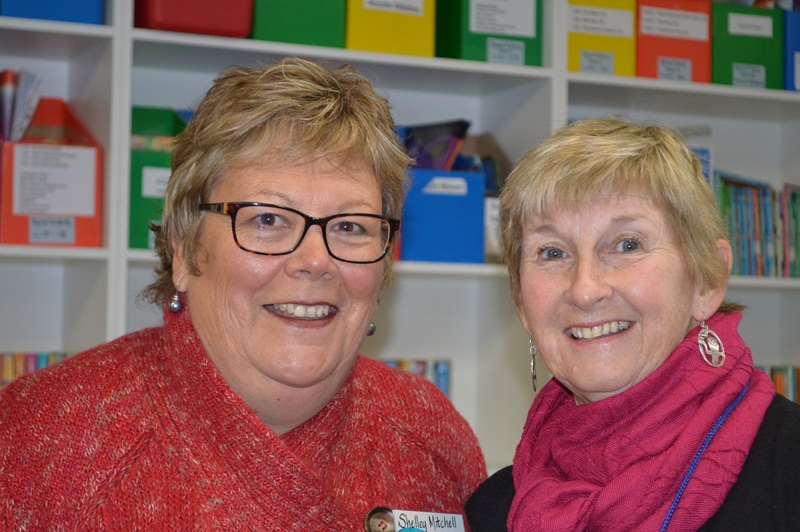 This year, Buxton Primary School was our host, and what a host! 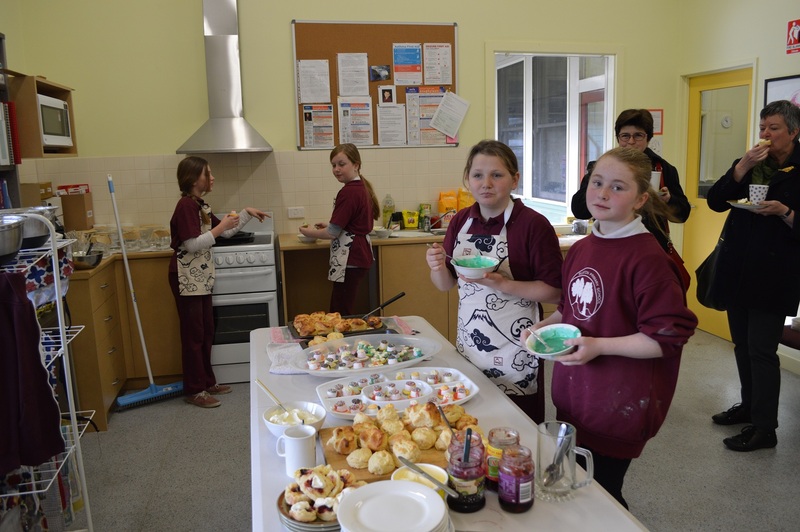 There were fresh-from-the-oven scones for morning tea, homemade soup, bread and pizzas for lunch, followed by pumpkin pie. On a very cool winter’s day, it was an extra special feast. Each of the five presenters has three sessions. It’s lovely to have small groups of such enthusiastic students and teachers. At the end, there’s a book raffle for the students and we presenters receive a wonderful bag of local produce which this year included lemons, jams, beer and wine! It’s a big day, but always fabulous. Long may it continue. Ah, for a day away! 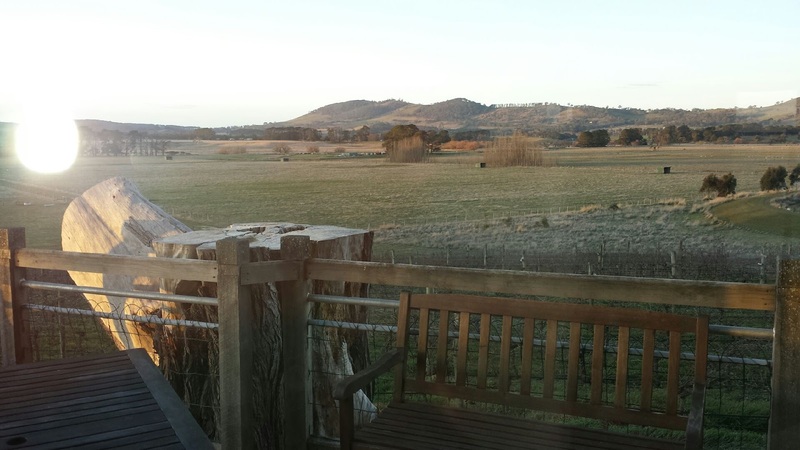 We had dinner and an overnight stay at Lancefield. We arrived just as the sun was dipping and went for a ‘constitutional’ before dinner. Actually, before wine-tasting. 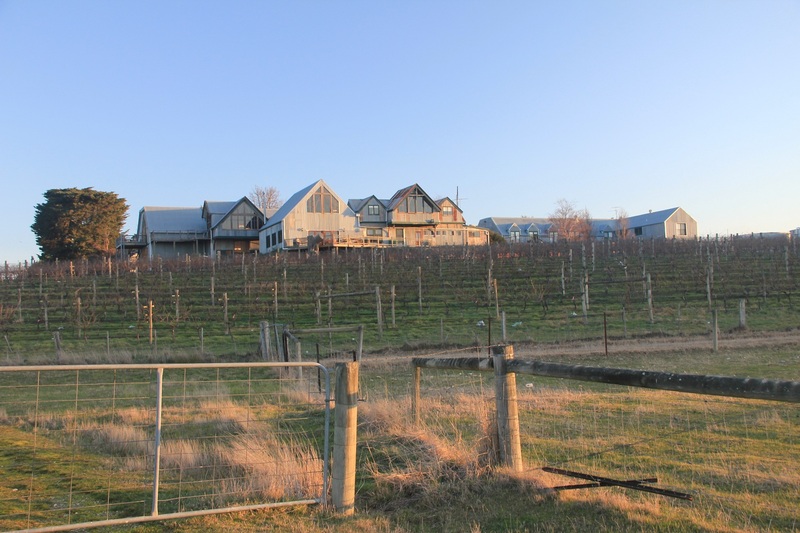 The winery/restaurant/accommodation sits high and has grand views on almost all sides. 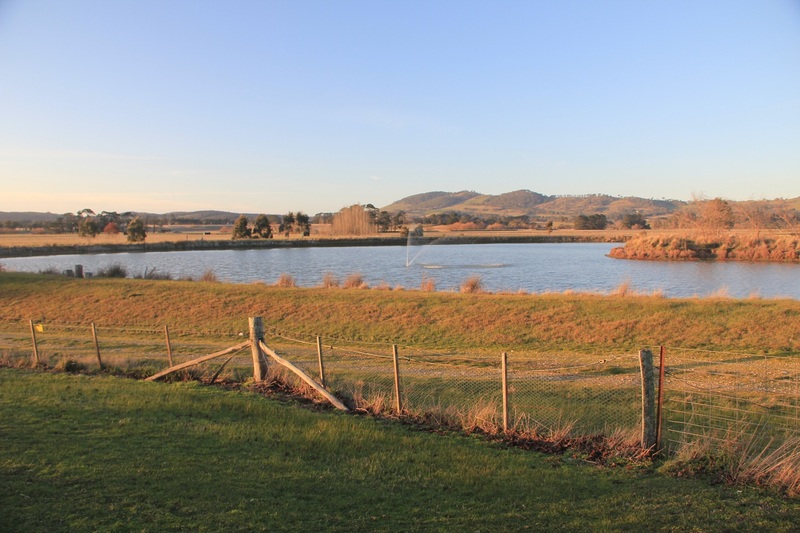 It’s set in the midst of paddocks and vineyards. 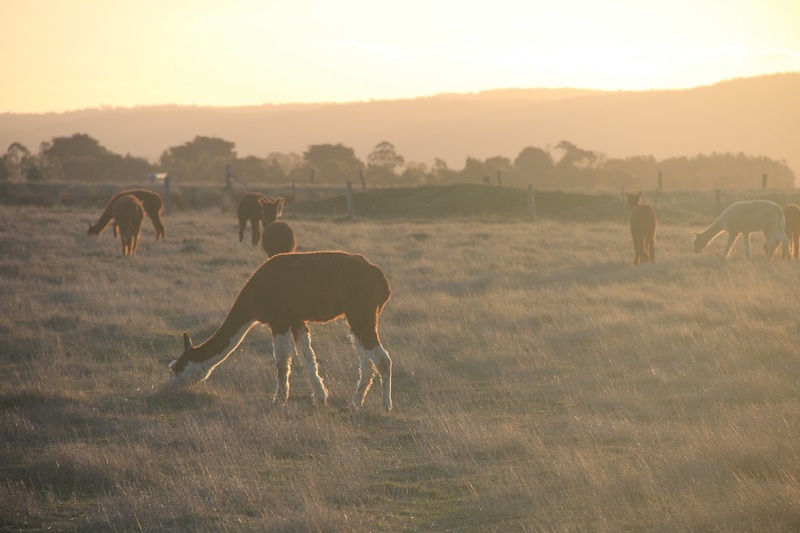 Alpacas decorate the paddock. They were a little skittish, but soon returned to their evening snacking. And now for the view from the wine-tasting. Not bad. Twas a lovely mini break.